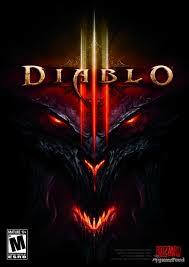 DIABLO III ACTIVATION CODE IS DISPLAYED IN THE BROWSER WINDOW AND COMES ON YOUR E-MAIL AUTOMATICALLY AFTER PAYMENT !!! In search of knowledge that will help overcome the new incarnations of evil, Deckard Cain returned to the ruins of the Tristram Cathedral. And then from the heavens, enveloped in flame, the apostle of the Apocalypse descended: the blow fell on the very spot where once Diablo entered the world. The heavenly flame awakened the ancient Evil. Hour struck! The heroes of Sanctuary must once again rise to the defense of the mortal world from the raging forces of the underworld.